The Fair Family is no longer playing in Branson. It is unknown if or when they may return. 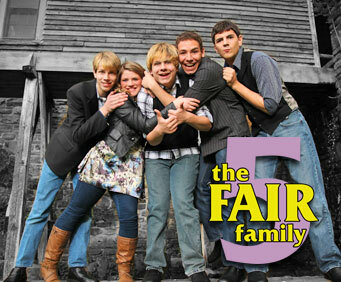 Join the FAIR family as you enjoy the beautiful harmonies of the Fair Five siblings; join the talented group as they perform popular hit songs. 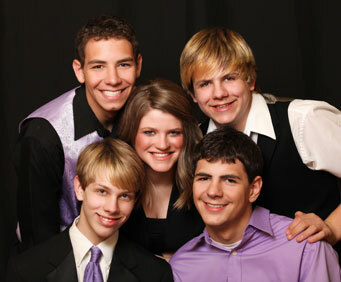 The whole family performs for you with not only great harmony, but amazing dancing, clogging, and brilliant musicianship. Everyone in the family is multitalented and can perform for you in a variety of ways. You'll get to hear everything from Pop, Country, Gospel, A Capella, top 40, Oldies, and more! Jacob Fair: Age 17, Jacob handles the piano, guitar, and drums for the group. Sarah Fair: Sarah, no stranger to the stage, sang in her church choir when she was five years old. She currently attends American Public University and is pursuing an online degree for Web Development and Marketing. Daniel Fair: Daniel is only 23 and plays the piano and bass guitar. Jonathan Fair: At only age 19, Daniel has mastered the acoustic guitar, electric guitar, bass guitar, piano, and the ukelele. Nathaniel Fair: At age 24, Jacob plays acoustic guitar, electric guitar, and the piano. 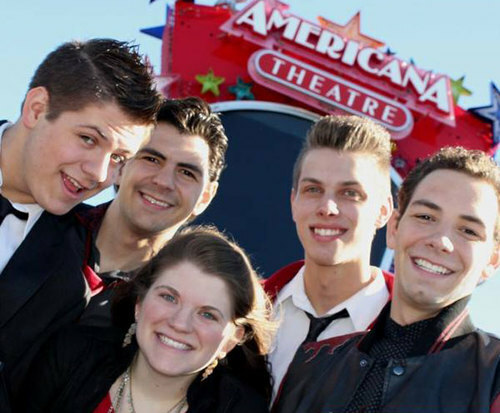 Witness these beautiful harmonies in person with this family friendly performance; bring your family to see FAIR live in Branson.